← Erectile dysfunction myths debunked! Tobacco adverts run the risk of persuading teenagers to start smoking according to researchers behind a new study published in the online only journal BMJ Open. Researchers from The Institute for Therapy and Health Research in Germany, claim that by just seeing 10 adverts for tobacco, this can increase risk of youngsters picking up the deadly habit. 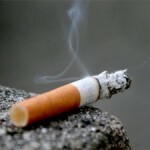 The claims emanate from the researcher’s findings from a two and a half year period where they closely tracked over 1,300 non-smoking 10 to 15-year-olds, specifically monitoring the teenager’s exposure to tobacco advertising and their subsequent behaviour. Whilst tobacco advertising to the public is completely outlawed in the United Kingdom due to the Tobacco Advertising and Promotion Act 2002, in Germany tobacco advertising on billboards is still permitted. In addition, tobacco smoking in Germany is still advertised in certain magazines, during sporting events, and in petrol stations. Television and radio advertising for such products however is banned. The German researchers began monitoring the teenagers – selected from public schools in three separate regions of Germany – in 2008. 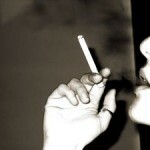 They were quizzed on how often they had seen certain advertisements, which included those of Germany’s top six most popular cigarette brands as well as eight more non-tobacco products. These included mobile phones, cars, clothes and chocolate. In 2011, after 30 months had passed, the teenagers were asked the same questions as before. They were also asked about if they had smoked in the previous two and a half years, and if so, how often. 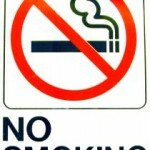 It was discovered that around a third of the study participants (406 in total) had tried smoking in this time frame, in addition to one in 10 (138) admitting they had smoked in the month leading up to the present day. 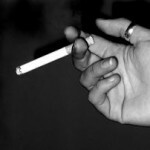 Moreover, of the 1,300 teenagers, one in 20 (66) stated they had smoked their way through over 100 cigarettes – determined as being ‘established’ smokers by the researchers. Worryingly, 58 of those teenagers said they now smoked every day. A third of those were younger than 14 years of age and only a quarter were at least 16-years-old. 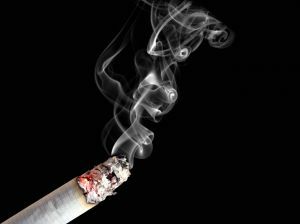 The minimum legal age to purchase cigarette or tobacco products in Germany is 18. 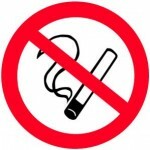 In comparison, it is illegal to sell tobacco to anybody under the age of 18 in England and Wales but the minimum age for consumption in public is 16. When the exposure to the different types of advertisements were compared, the non-tobacco products were seen a lot more. However, almost half in the study had seen one particular cigarette advert at least once, whilst 13% had seen the ad over 10 times. The researchers took into account common influences for picking up the habit and then determined that exposure to tobacco advertising was second only to peer-pressure for beginning to smoke for the first time. The teens who had seen the most tobacco-related advertisements (11 to 55 times in total) had around the double the chance of becoming either an established or daily smoker in comparison to those who had seen on average the least amount (between 0 to 2.5). It was calculated that there was a 38% increase of the teenagers becoming ‘established’ smokers for each extra 10 viewings of a tobacco ad and were 30% more likely to become daily smokers compared with the same number of sightings for adverts promoting non-tobacco products. If you would like to quit smoking, Medical Specialists Pharmacy can help you do this as we offer the smoking cessation medication Champix for suitable patients. 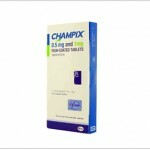 Champix is not recommended for use in children or adolescents below 18 years of age, however smokers over this age can benefit from the medication, which works to mimic the effect of nicotine on the body, reducing the urge to smoke and relieving withdrawal symptoms. It can also decrease the enjoyment you experience of smoking if you succumb to the urge and have a cigarette whilst on the treatment. The medication equates to just £75.00 per pack – inexpensive compared to an estimated £2,555 you could save each year by quitting smoking! *Allow extra time for overseas deliveries. 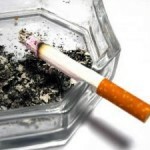 This entry was posted in General Health News, Life Style, Smoking and tagged champix online, champix uk, quit smoking, smoking cessation, smoking cessation medication, stop smoking, stopping smoking, teenage smoking, teens smoking, underage smoking. Bookmark the permalink.